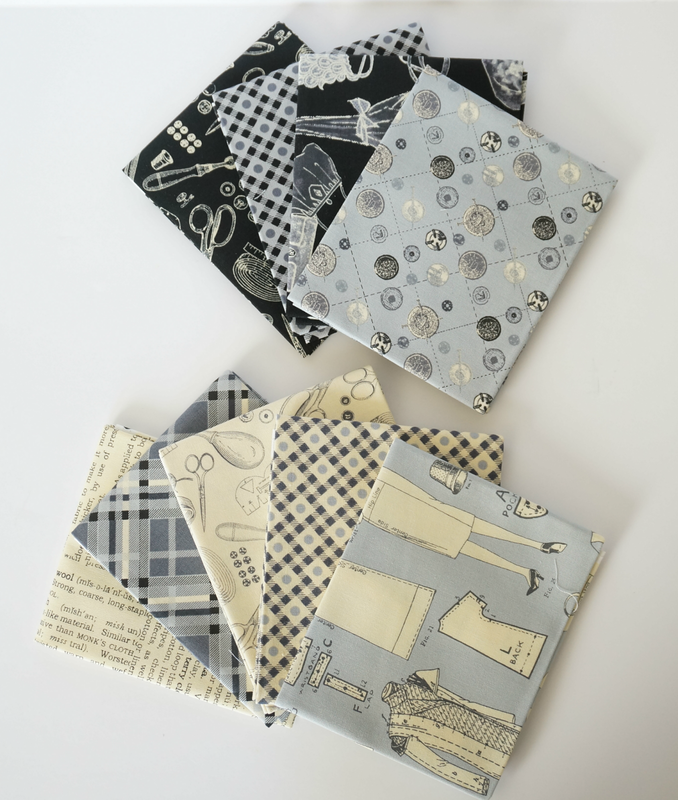 RJR Fabrics sent me the loveliest bundle of fabric - the new line from Amy Barickman "Vintage Modern Centennial Collection"
It is a sewing inspired fabric with vintage images and some great text and geometric prints. It is available in stores in September '15. 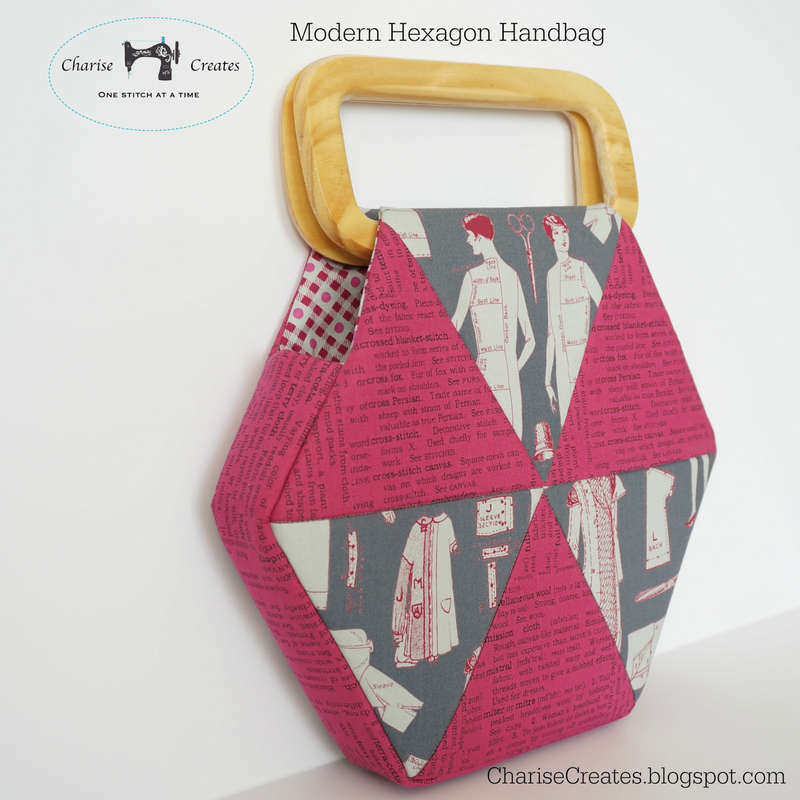 I thought it would be perfect in my new design ~ the Modern Hexagon Handbag. 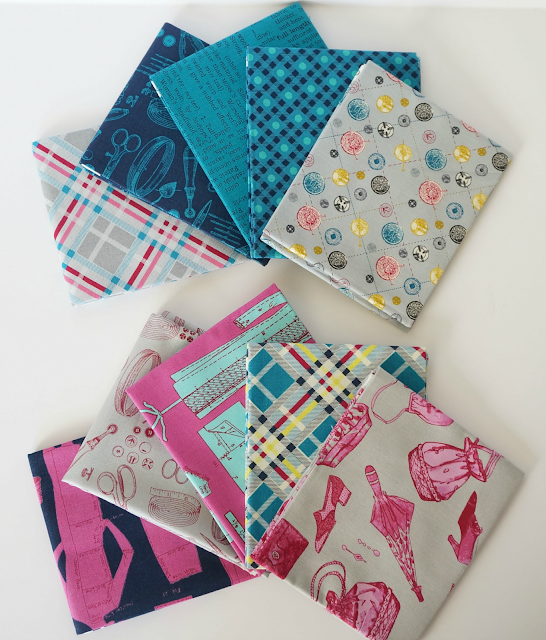 The line comes in a turquoise/fuschia color way and a black/cream/blue gray color way. I decided to add a thicker stabilizer - a foam stabilizer that adds a lot of body and a bit of thickness. It is from Pellon ~ Pellon Flex foam, and I purchased it at my local Joann fabric store. 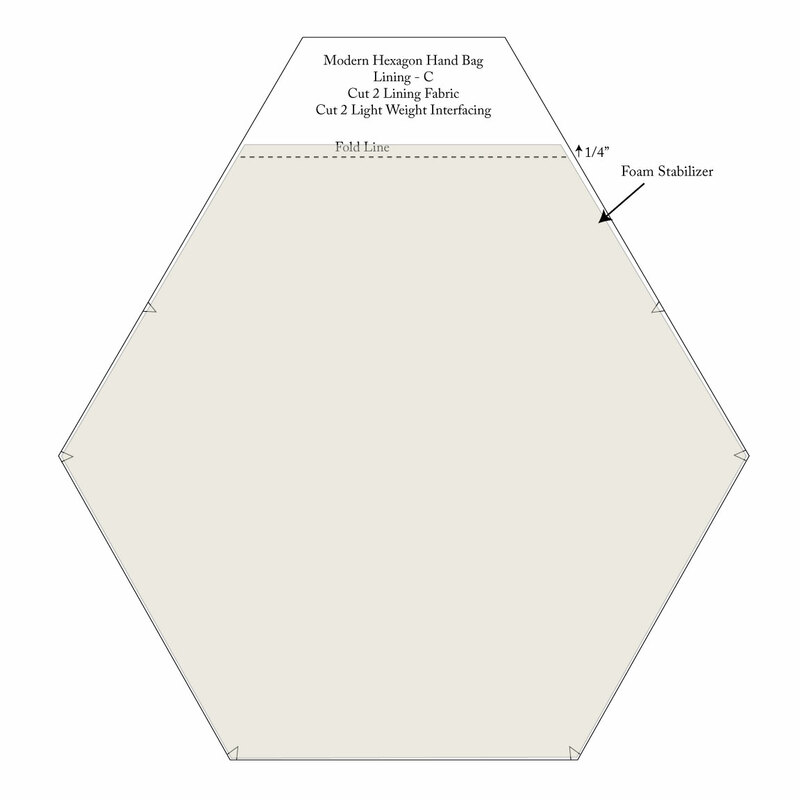 If you prefer a bag that stands up by itself and you want to add foam stabilizer to yours, cut 2 pieces 1/4" beyond the "Fold Line" on the LINING pattern piece. Baste the stabilizer to the back of the interfaced front panels with a 1/4" basting stitch. Cut 1 piece of stabilizer from the GUSSET Pattern piece. Baste to the Outside gusset with a 1/4" basting stitch. 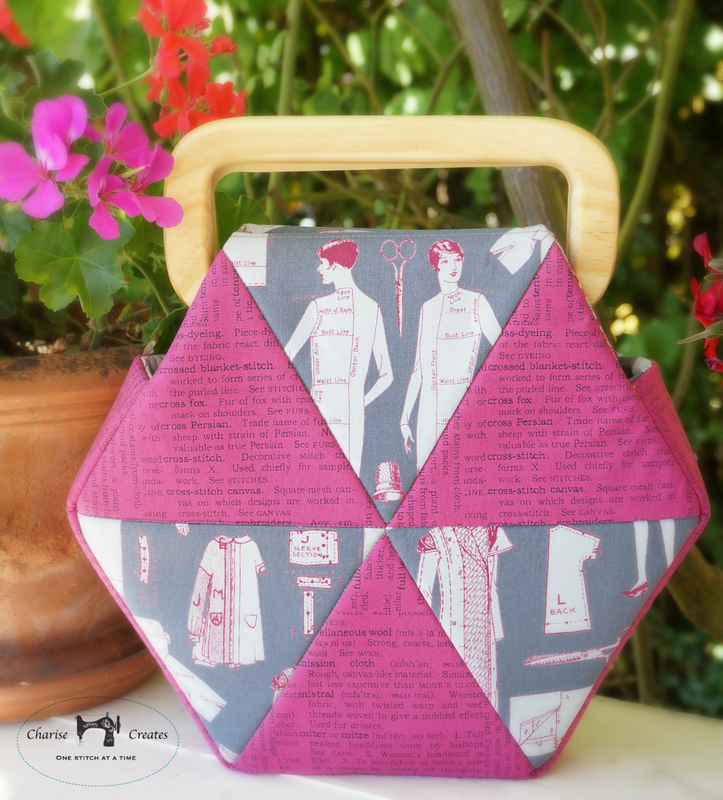 Continue sewing as per the instructions. Be sure to head on over to Freshly Pieced for some inspiring Work In Progress Projects! 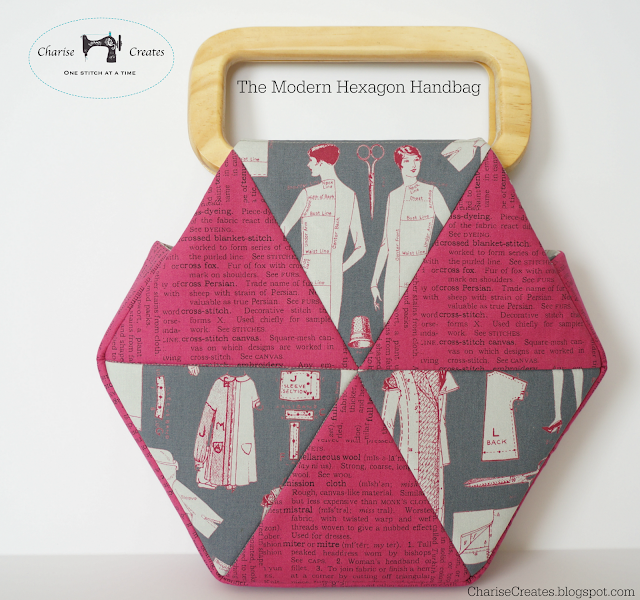 Such cute fabrics in that vintage line ~ they look great in your Modern Hexagon Handbag!